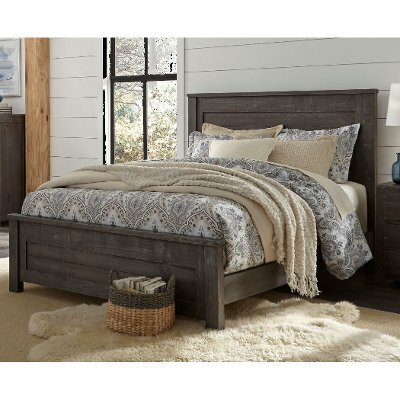 If you're looking for a modern take on rustic style, you've found it with the Wheaton charcoal gray 4-piece queen bedroom set and RC Willey has it. It artfully imparts sophistication to a naturalist vibe that you and your family are sure to love. The panel bed features horizontal slats with straight top moldings and framed panels. And all the cases are built with rough sawn solid pine and are designed to be more linear with simple, clean lines. Dark antique brass hardware in smooth knobs with a small base round out the look. Its classic, uncomplicated silhouettes and naturally textured charcoal gray finish lend to the Wheaton collection's understated, versatile design that will effortlessly enhance a variety of tastes and spaces. The Wheaton charcoal gray queen bed at RC Willey offers a modern take on a rustic style that artfully blends sophistication and a naturalist vibe that you and your family are sure to love! This panel bed features include pine solid construction, horizontal slats on the headboard and footboard, and straight top moldings and framed panels. 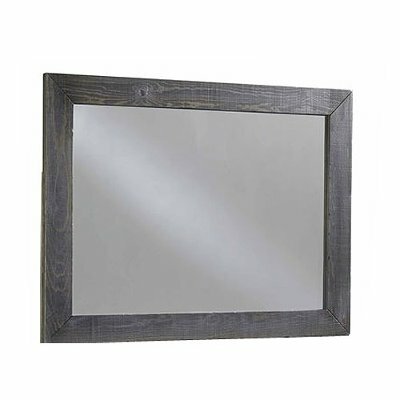 Its classic, uncomplicated silhouette and naturally textured charcoal gray finish lend to the Wheaton collection's understated, versatile design that will effortlessly enhance a variety of tastes and spaces. 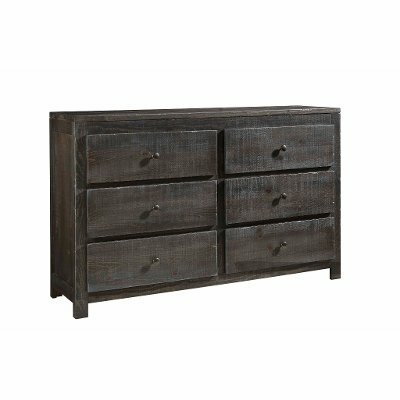 The Wheaton charcoal gray dresser offers a modern take on rustic style and is now available at RC Willey! This piece is built with rough sawn solid pine and is designed to be more linear with simple, clean lines. Dark antique brass hardware in smooth knobs with a small base round out the look. It artfully imparts sophistication to a naturalist vibe that you and your family are sure to love. 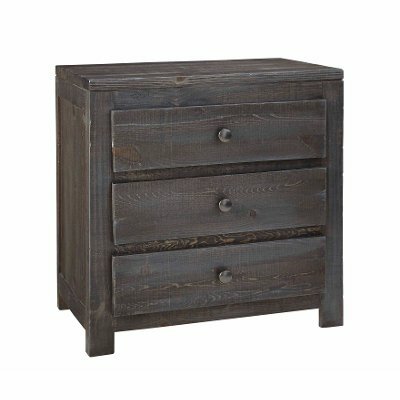 Offered by RC Willey, the Wheaton charcoal gray nightstand features a modern take on rustic style and artfully imparts sophistication to a naturalist vibe that you and your family are sure to love. This piece is built with rough sawn solid pine and is designed to be more linear with simple, clean lines. Dark antique brass hardware in smooth knobs with a small base round out the look. Its classic, uncomplicated silhouette and naturally textured charcoal gray finish lend to the Wheaton collection's understated, versatile design that will effortlessly enhance a variety of tastes and spaces.